The following is the personal testimony of Kym Duarte. It details her time at Passion City Church in Atlanta. 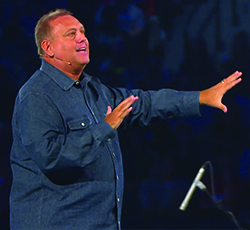 Kim currently attends a Calvary Chapel in the Atlanta area. 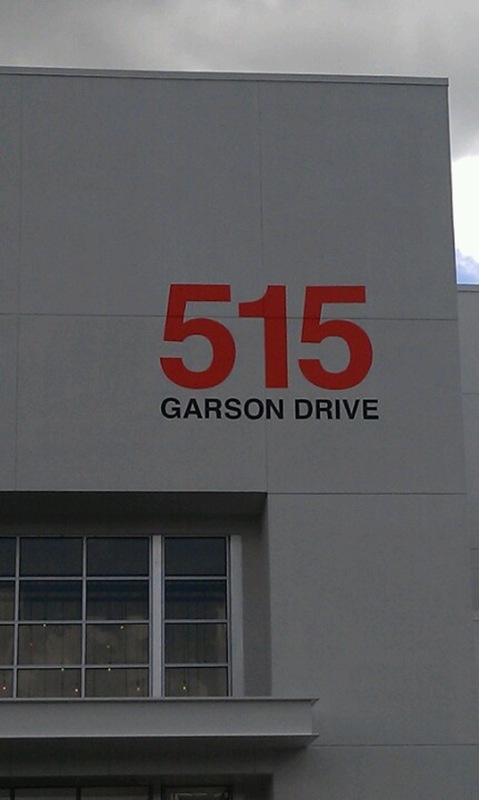 I used to go to Louie Giglio’s church, Passion City (PCC). I went there for about ten months. One Sunday, I decided not to go back. On this particular Sunday, Louie’s message was about the state of the world and how it was up to us to make it better. I cannot recall exactly what led up to the following statement, but he said, “…and I know, (as he did his characteristic Louie chuckle) there are some who cannot wait for the rapture but there is a lot more to do before that happens…” – Me and one other lady exclaimed “Woo hoo!” We were excited at thought of our Lord’s return. At that moment, a moment I will never forget, Louie, with a sinister, demonic look, looked directly at me and said something to the tune of, “Yeah, I am sure that will happen.” What I remember most was his snide, devilish look after we shouted for joy. Clearly, Louie and I were not on the same page. Before he even finished his message, I got up from my seat and left. I knew then and there PCC could never be my home church. The cold, high apostate doors of that church and the iconic red lettering of the numbers of the “515” were forever behind me. My journey is lot like that of other believers. I grew up in church, “got saved” as a very young child, and lived a prodigal life until well into adulthood. During those wayward years, I had some quick “let me get right with God” moments but they were only undertaken for my own perceived, selfish advantage; they were never really heartfelt. I would consistently regress into this pattern. I found myself living in a small, outdated room. Because of my poor life choices (perhaps I say because of circumstances God used to finally get my attention), this was the best shelter I could afford. Late one night, God used a movie (despite its source) to draw me to Himself. Restless, I woke from sleep around 2 a.m. and “The Passion of the Christ” was on TV. As I saw the crucifixion of Jesus portrayed, I wept bitterly. Then and there I repented and made Jesus the Lord of my life. Here I am, almost six and one half years later, and have never turned back to that prodigal lifestyle. Due to this drastic life change, I knew church was vital to my process of growth, not only for encouragement but also for exhortation. I was raised in a non-denominational church where I knew what the gospel was and what it should sound like from a pulpit. So, that’s what I sought. I moved to Orlando shortly after my life change and got involved at a satellite campus of a mega church called Real Life. After a short time, God opened a door for me to move to the Atlanta area and the church-seeking began all over again. I was new to the city and had not one friend. This makes it easier to blend in at larger churches. At such churches you don’t stand out. At the same time, they are big enough to socialize and meet new people in; for a single girl like myself, there can also be a “find my mate” factor. The first church I regularly attended after I moved to Georgia was New Season, in the town of Hiram. I was very involved in the church, from singles to Celebrate Recovery, as a volunteer. After a while, things began to get weird at New Season. Steve Flockhart, the pastor, I came to find out, had a sordid past. Still, I gave him a chance as I had only heard about his past and not experienced anything concerning myself. That quickly changed. He began to allow secular music to be played in the church during worship services. I was alarmed. The church actually played Imagine Dragons and Katy Perry. Steve was also unchecked by deacons or elders. He answered to no one. Nothing about New Season church seemed close to the Book of Acts. With the uprising of secular music, Steve and I discussed the situation. He stated that he would not stop playing secular music and that if it bothered me I should not go anywhere because all the earth is holy ground. Basically, his message was “secular music is fine so deal with it.” Unfortunately, Steve appealed to the flesh in more ways than; he had an MMA fighting thing for the men. That caught a lot of backlash for sure. Violence should never be part of a church. Because Steve would not change his outlook on the music, I left. The associate pastor at the time, Bill Sizemore, contacted me and encouraged me to come back. I asked him if secular music would still be played and he failed to answer me directly. I went the following Sunday and they played “Don’t Stop Believing” by Journey. I am not sure what a smoke-filled room, wine, and cheap perfume have to do with Jesus. As the song was playing, I got up and told everyone that if they encourage this they are part of the problem. This is not what church is about. That was my looking-Louie-in-the-eyes moment at New Season. I never returned. Eventually, I moved to the downtown area of Atlanta since that where my job is and the daily commute from the Hiram area to downtown was taxing on me. Due to the move and the situation at New Season, I needed a new church home. PCC was it. The allure of PCC was its size and all the famous names associated with it. For instance, Chris Tomlin, who also leads worship along with Kristian Stanfill and Christy Nockels was a big draw for me. I had also heard of PCC due to the Passion Conferences Giglio holds each year. Many of my friends would Facebook about their experiences there. It seemed legitimate to me as these friends were the sort that I thought “knew God” and the conferences seemed to encourage them in their walk. So, one Sunday I visited PCC. The first Sunday, I did not quite make it because the parking was full and being new to the area I did not know where to go. They have a parking garage they use every Sunday and have shuttles that take you to and from the church. The following Sunday, I figured things out a little better and got there 45 minutes early. I had a great parking spot and was able to sit in the third row from the front. I was excited. The church welcomed me with its bright, modern appearance. Its red circular couches with big white tables behind them, which encouraged me to hang out and socialize, were inviting. The greeters at the door seemed excited, so very excited, to see me. Everywhere I went there were smiles and great big hellos. It felt warm. It did not feel like a church. As I made my way to my seat, I was taken back by the size of the sanctuary and how dimly lit it was. Its black walls, dark carpet, and blue iridescent lighting seemed something from a night club. I felt lost in a sea of Louis Vuitton and Michael Kors. (PCC is on the cusp of Midtown and Buckhead and if anyone who knows Atlanta will understand why I made that statement; those places are where the swells live). I was dressed in jeans and a nice shirt but didn’t seem to fit in to the veritable fashion show around me. When the service began, PCC felt even less like a church. The atmosphere was nothing like the church in which I grew up. It was euphoric, almost like a rock concert. The lights, the band, the singers, and the church goers seemed so holy. But something was off. The reason I say that is that the moment the song would start, hands would raise. Revilers raised one hand in praise while the other held a latte. That confused me. How can a person be reverent while doing that? No one had bibles and no one took notes. There was, of course, at least one Bible in the room, Louie’s NIV. Louie got up to preacher and, wow, was he dynamic! I really do not recall Louie, in my time there, ever preaching the gospel of repentance, sin, or just really the gospel in general. He generally cherry picked the scripture; he could go on for an hour on one verse. As I began my journey to serve Christ, studying the Word was a vital part of my life. I did not rely solely on my pastor to give me my weekly dose of God’s word. I searched the scriptures. I really searched going to PCC because Louie’s messages always seemed odd. The first 20 or so minutes would be Louie telling some grand story – either about the Grammys or stars or other non-gospel things. Now, please do not misconstrue, stories are good but they should not be the focus of the message. Louie would also use secular verbiage that was lost on me. For instance, one Sunday, he said “turn down for what” and the place erupted as if Matt Ryan had just hit Julio Jones for a long touchdown. I looked up the phrase and realized it was from a secular party song. Till this day, I still don’t understand how that played a role in a message. It didn’t seem to matter to PCC. They went wild over it. They did not go so wild the time John Piper came to guest preach. He mentioned that homosexuality was sinful. Judging by the crowd’s reaction to his statement one might have thought that he had just condemned lattes and skinny jeans. I seemed to be one of the few in agreement with what Piper had said. As weeks went by, Louie’s preaching just got worse. The only reason I stayed was community. I had friends! I was able to go to church and socialize. I had made friends and, as a single lady far away from home, that was so important to me. What better place to have friends then church, right? If I can even call it “church”. One thing that stood out to me about PCC is how Louie would say they do not use terms as typical churches do. Case in point, the church is not called a church but “a house.” The service is not called a service but a “gathering”. The volunteers are not called volunteers but “door holders”, no matter what their function is. Louie has stated and probably still does, that he is not in the business of doing the same as the Church always has. One big draw for me at PCC was the community groups. It was community that kept me coming. In group, people would tell these “Jesus Stories” but never once did I ever hear anyone say how they actually “shared” the gospel with anyone. One time, truly I say to you, a young adult was like, “yeah while we were at a game, having some beers, I witnessed to someone.” I just sat there confused. They would also have these round table prayer times…like everyone would go around, not even knowing the person and start to pray over her. I found that odd…not that we are not to pray over people but the whole structure of community was off to me. No one really shared Jesus and who He is. Things only got worse, as the red flags were being signaled by God. Another area of involvement at PCC I had was The Grove. The Grove is a women’s’ gathering. They “gather”, I believe every spring and fall. It was a crazy time and a time where these women would show who they really were. I would have to stand in line one hour before the thing started and when the doors would open, these women would knock down their own grandmother to get a good seat. It was like Black Friday at Wal-Mart. One time they pushed me out of my seat and moved my stuff. I was not very nice and said some things that probably annoyed them. I think it was to the extent of how they would be hypocrites five minutes from now, while they kick people out of their seats yet “praise the Lord” the next. I spoke with Shelley, (Louie’s wife) after I was shoved. Between the knocking people over to how they idolized some of the featured speakers (for instance, Christine Caine came there. I had no idea who she was but by the sound of the cheers, she seemed important. Christine was very dynamic but never really changed my life when I left), I concluded that everything about the Grove was godless and for show. Fancy little coffee machines, donuts, cookies and other finger foods were spread all over the foyer. It was a put on. PCC never really impacted my life on a godly level. I never left there convicted or in a state of repentance. My friends from PCC still drank and cursed. When I brought it up, they told me I was “judgy” and it was fine. We don’t have to be perfect. When I left PCC, those friends left me as well. They blocked me on Facebook and I never heard from them again. This was after I cautioned them to reconsider PCC and find a new church home. PCC was and is very seeker friendly with a new-age feel. Louie is great at giving just enough “cross of Jesus” but he is way off the mark on a lot of things. He talks about creation as though creation itself is God. God is not the sun, moon and stars; He created them! We are not to love creation more than Him. Romans 1 burns in my mind as I think of PCC. The grace card is overused and misused there. It gives a sense to Louie’s followers (and they are Louie’s followers) that it is okay to not really change but just “love’ Jesus. Louie clearly thinks the world is going to get better; 2 Timothy 3:13 seems to evade him. Louie has allowed folks like Christine Caine, Ann Voskamp, members of Hillsong to lead praise and worship. He has let Carl Lentz and so many other poor preachers to teach in his “house” – Louie may not believe in the rapture but when he gazed at me with a demonic glare, it was then and there I knew I was not in the house of the Lord but in a house of demons. Clearly if Jesus walked in there, He would overturn all their merchandise and give a stern rebuke to what they believe. Our hope is to be winsome, and to befriend and serve all people. Our worship is loud because His grace is beyond anything we could dream or imagine. Our rhythm is to gather together to worship and scatter to serve. And in a world where the weight is often heavy, we want to lift people, speak life, stand for justice, add value and celebrate the goodness of our God in the best of times and when the road is steep. We are not perfect. But Jesus is. Come as you are. Where in that statement is the gospel? Louie believes the world will get better and it’s up to us to fix it. It is not up to us to fix it. Isaiah 51:6 tells us “Lift up your eyes to the heavens, and look upon the earth beneath: for the heavens shall vanish away like smoke, and the earth shall wax old like a garment, and they that dwell therein shall die in like manner: but my salvation shall be forever, and my righteousness shall not be abolished.” This earth will vanish. Our role as children of God is to share the gospel, the real gospel. Yes, this will make the Earth a better place but we can’t make the Earth a better place without sharing it accurately. Take away the lights and rock star atmosphere from PCC and all you have is a hollow shell of a white building with the numbers 515 plastered on the front. There is nothing godly about that place. Louie and Shelley have both blocked me on Instagram, Twitter, and Facebook. They do not want anyone to tell them truth, or rather, tell the truth about them. Louie has a strange mindset, one that believes we should understand and relate to an atheist and not judge him. We should engage understanding how and why he thinks that way. It is not our place to witness to him. I am not a perfect person but do understand sanctification. PCC is not a church house but a godless house. I learned more secular things from going there and never once came face to face with things I needed to change. Louie has come close to using the word sin but he has never brought truth and that should scare anyone who goes there. I encourage anyone who reads this to search the scriptures as we read in Acts 17:11 when Louie talks. I literally listened to a whole message on his Who is Jesus series and wrote down word for word what he said. Here is a link to the message. Dissect it and you tell me how biblical it is. Take time and see if you can find all of this in the Bible when Louie preaches. His ego takes over at the 20 minute or so marker. https://passioncitychurch.com/gathering/friend-or-foe/ do you hear anything about repentance? If so, please let me know….Louie also has a lot of new age nonsense in this message. https://passioncitychurch.com/gathering/whats-next/ I took some serious notes on this message and I hope you can see how weak his “teaching” really is….I was shocked. Thanks for reading. If you come from a biblical background and currently attend PCC, chances are this is resonating with you. Don’t be afraid to speak your mind, you are not alone. If you belong to God, he is always with you and is more than able to provide for your needs according to His riches and glory by Christ Jesus. *Please note that the preceding is the opinion of the contributor. It is not necessarily the opinion of any entity by which I am employed, any church at which I am a member, any church which I attend, or the educational institution at which I am enrolled. Any copyrighted material displayed or referenced is done under the doctrine of fair use.